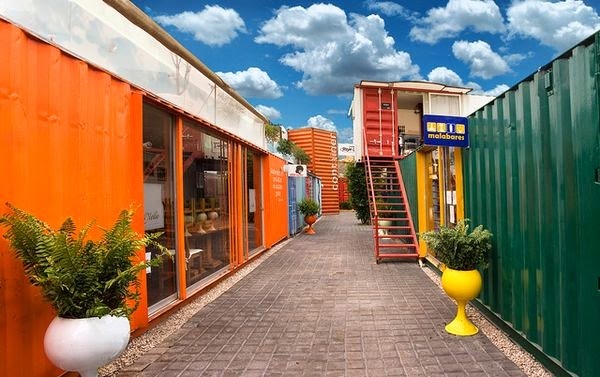 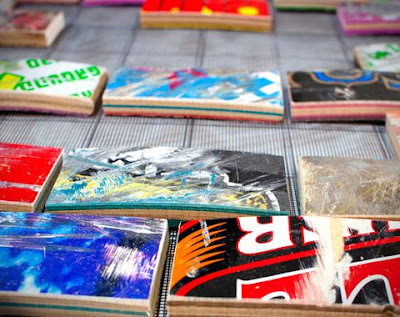 Over the years designers have learned to recycle old skateboards, giving them a second life in new furniture pieces. Although the concept of recycling old skateboards may not be entirely new, transforming your thrashed deck into a beautiful mosaic tiled backsplash is. There are literally countless skateboards snapped in half each year, most of which are completely thrown away. 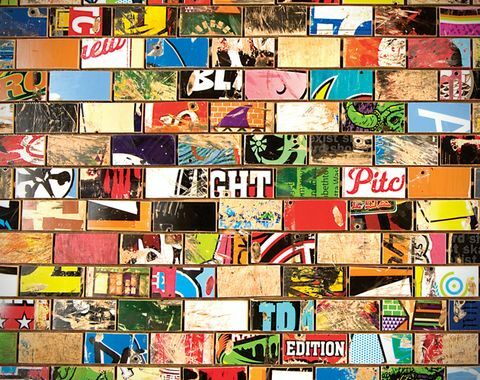 The designers at Art Of Board have taken this laminated maple, and transformed it into decorative art tiles to cover any wall in your household. 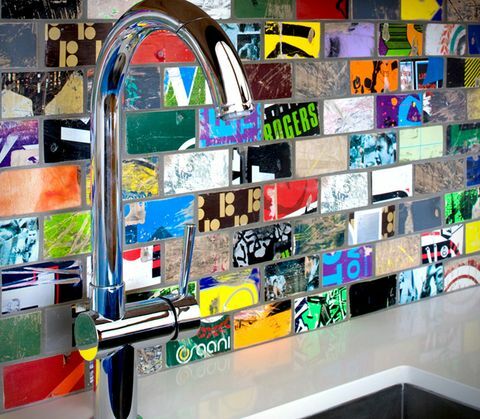 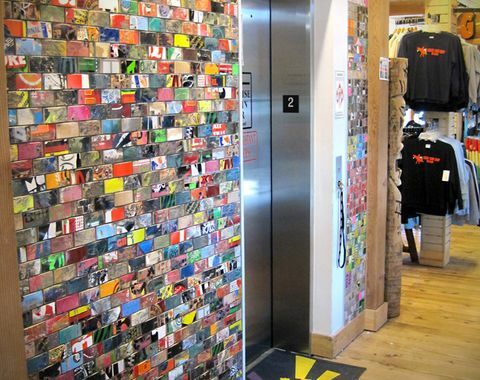 The tiles are all hand cut from 100% recycled skate decks and can be purchased by the square foot.